There is an acceptable minimum level of adequacy that will satisfy the audience, even when that level may not be the best that technology, money, or time and effort can buy. Once you've tried it, you can't go back. In 1987, a few weeks after HyperCard was released by Apple, I went to work there, designing and building the guided tour for an information management tool used in-house by Apple. I said I didn't know the software, but they said that's OK, nobody else does, either. They gave me a cubicle with my name on it, a Macintosh Plus with a 20MB hard disk, and I was up and running. The Macintosh II had been shipping for a short while, and every department at Apple was attempting to get this latest and hottest CPU -- but most units were going to the retail channel. There were three Macintosh IIs among about 40 of us. One afternoon, I sat at a Macintosh II, inserted my 800K disk, and ran my HyperCard stack. I couldn't believe it! The screen-to-screen dissolves and special effects I had carefully programmed on the Macintosh Plus went by so fast I couldn't see them. I had to reprogram everything, with a special test to check for CPU speed. If it was a fast machine, I programmed the visual effects to run slower; on a slow machine, faster. But the sad part was that I not only wanted this faster machine, I felt I needed it! I had had the same experience moving from a 300-baud modem to a 1200-baud modem and, later, from a 14-inch monitor to a 21-inch monitor. You never have enough memory or disk space. Somewhere in my basement is an old drive that used 256K, 8-inch floppy disks. I often carried these big floppies from workplace to workplace in a sneaker network (by tennis shoe, that is, not wire or glass fiber). I was astounded and pleased when the new 5.25-inch disks came out, and then amazed by the high technology of 3.5-inch disks that fit in a shirt pocket... The higher-density floppies kept pace with the growing sizes of my project files, until I switched to color and began including sound and animation. For a while, segmenting and joining large files across several disks worked around the constraint, but it was tedious and inadequate for large digital video files. So I went to 44MB Syquest cartridges, then to 128MB magneto-optical disks and to Zip disks, then to 1-2GB Jaz cartridges. Now I burn a quick CD-R. My projects are measured in the hundreds of megabytes, and the blank CD-R costs only a few cents. Pretty soon, the cost of DVD blanks will come down, too, and large projects will measure in gigabytes. The best user interface demands the least learning effort. Satisfaction with the Internet is a function of connection speed and the size of the data elements accessed. The rationale for trading in my workhorse Macintosh IIci for a Quadra 840AV in 1993 was that I would get at least three years of good use out of a computer that would remain at or near the top of the line long enough to justify its cost. Apple's RISC-based PowerMacs would begin shipping in 1994, and they would be more than twice as powerful as my Quadra. But that power will be available mainly to applications that have been written specifically for the PowerPC chip in native code. Indeed, it was rumored at the time that some applications, until they were redesigned by their vendors, would actually run slower on the PowerPC than on my Quadra. You can capsize at the frothy, leading edge of technology, where the Surf Alligators live. By this point, my Quadra 840AV continued to perform just fine and was still well supported by software vendors. While writing the third edition of this book, however, Apple kindly loaned me a top-of-the-line Power Macintosh 9500 with all the bells and whistles, because some heavy-duty authoring packages now require the PowerMac's capabilities, and I wanted to test them. I let my assistant use the PowerMac; I knew that if I tried it and liked it, I wouldn't be able to go back (see Vaughan's One-Way Rule), and I also knew I could still get at least another year of good service out of my 840AV. Too many applications just wouldn't run on my Quadra 840AV, and I was too far behind the curve. I bought a 7500 PowerMac, boosted the processor and cache, and added a second hard drive. It screamed, compared to the old Quadra, which was relegated to my 10-year-old's bedroom. But with the G3 Macintosh out on the market, and an entirely new operating system from Apple on the horizon, perhaps I have purchased only a year or two's grace before the leading edge of technology pinches again. However, I'm still safely behind what some call the "bleeding edge." Whoa, with the Mac 7500 I was way behind the edge! Too little RAM, no speed. G4s were out and OS-X was shipping. When the new Photoshop 6 worked slower than Photoshop 5, I knew it was time, but I didn't have an extra $3,000 for fresh hardware. Instead of buying a new Mac, for about $500 I installed a Sonnet G4 Crescendo card and a stick of RAM into my old 7500. Bingo! In the game again. There are more than a few upgrade paths that will keep you going. It's been ten years. Keeping up has not only been exhausting, it has become annoying. Working with computers isn't like working with the tools of other trades: I have a cast iron plumber's wrench that continues to install kitchen sinks after more than a hundred years of duty. My expensive computer, though, can only do the job for a few years; then it dies, joining other computers and computer parts in a graveyard of relics in a corner of my barn. There is no longer "support" for my current machine, and the latest software won't even load. The industry's marketing argument is that this is a good thing, allowing for innovation and progress. My own practical argument, now that computers are "adequate" for making multimedia (see Vaughan's Rule of Multimedia Minimums), likens computers and operating systems to tungsten light bulbs designed to burn out every few months: if light bulbs never burned out, the manufacturers could sell you only one bulb, not many. Finally, I have a Power Mac G4 dual processor machine running at 1.25 Ghz that will do all I need it to do, fast enough. With OS 10.4.7 (Tiger), the platform is stable. My disk storage measures hundreds of gigabytes, and I continue to backup important files regularly. A new wave of Intel-based Macs is selling well, but I have Windows XP running on a clone and no need for Boot Camp's easy switch between Mac and Windows on the same computer. Mac and Windows talk to each other over the network, anyway. In this calm water slightly behind the leading edge of the wave, my system never fails to boot, doesn't lockup in the middle of a file save, and is dependable. It even updates automatically with the latest software improvements so I am always current. It may be a long time before this setup becomes a graveyard relic. When I was a kid, I took it for granted that you could see a million stars in the summer sky, and it wasn't until much later that I discovered the truth: only a paltry few thousand stars are actually visible to the naked eye from Earth. While "millions" is a perfect number for a ten-year-old's perception of an infinite universe, the term needs definition. For example, what does "133 million users on the Internet" really mean? The following exercise might help: Start counting to a million, incrementing by one every second: (One) (Two) (Three)... In a minute, you will have counted to 60; in an hour, to 3,600. In 277.77 hours, you will reach a million--that's 11.57 24-hour days of nonstop counting, no pizza, no beer. You could try for the Guinness Book of Records, but you won't stay awake long enough! When I left graduate school, I joined the Carpenters Union and built highway bridges, apartment houses, and fine custom homes. The wholesale tool supply store that catered to the trade had one wall covered with more than a hundred different hammers--some for nailing big nails, some for tiny upholstery tacks, some for metal work, others with a hatchet on one side for shingles, or with a waffled striking head that would drive slick and wet nails under the roughest conditions. They all came in different weights and handle lengths and shapes. I tested a few framing hammers and chose a 24-ounce waffle-head framing hammer that felt good. With it, I could drive big 16d nails in a single stroke. It had a wicked curved handle. It was a Vaughan hammer. Next day at noon, the union boss took me aside and quietly told me that hammer weight is limited to 22 ounces; the older guys on the crew couldn't keep up. My hammer was illegal, and if he saw it the next day, I'd be sent back to the hiring hall. "Sorry," I said, "jeez, I didn't know." He let me leave early so I could get to the tool store before it closed. In producing multimedia, no tool is illegal. You should use the best tools that fit your talent, needs, and budget. At 18, I used to hang around with people who drove fast cars, and once volunteered to help an acquaintance prepare his Ferrari Berlinetta for a race at Watkins Glen. My job was to set the valves while my friend went over the suspension, brakes, and later, the carburetor. The car boasted 12 cylinders and 24 valves, and adjusting the clearance between tappet and rocker arm seemed to me akin to a jeweler's fine work. It required special wrenches and feeler gauges and an uncommon touch to rotate the high-compression engine so the cam was precisely at its highest point for each valve. I was blown away by the sheer quantity of moving parts under the Ferrari's long and shiny valve covers--my own fast car had only four cylinders and eight simple valves. It took me about seven exhausting hours (including double-checking) to get it right. As the sun came up, though, the engine sounded great! Tuning up and preparing, I learned, is as important to the race as the race itself. My friend, however, learned a much tougher lesson: he spun out and rolled his Ferrari at the hairpin turn in the seventh lap. 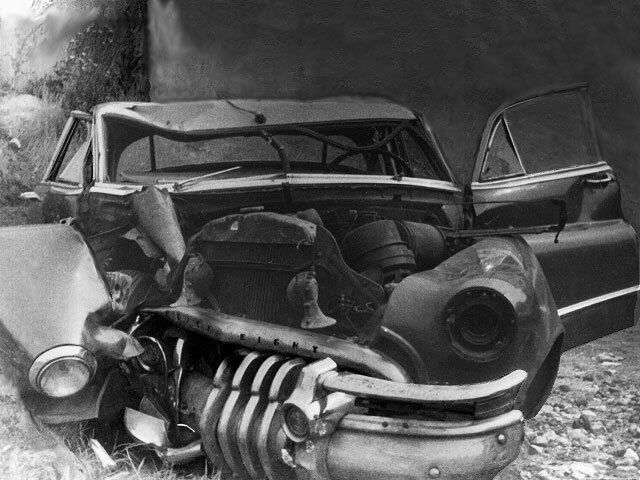 He crawled unhurt from the twisted wreckage, but all he was able to salvage from the car was the engine. Last time I took the red-eye home, the fat guy behind me was pretty ill -- sneezing and hawking incessantly over my headrest on the full, hot plane. My glasses blurred with misty droplets, and I wiped the fog away with the damp cocktail napkin under my Coke. That trip cost me four days sick in bed, and I promised I would never fly night coach again to make a meeting, no matter how important. Then I broke my promise and, after a sleepless night on the plane, found myself sitting in the muggy summer air on the bank of the Charles River, having lunch with Rob Lippincott and his multimedia team from Lotus. I pretended to be alert, but residual white noise from the plane ride beat in my ears, and my dry eyes wouldn't focus in the umbrella sunlight. Rob made intelligent notes with a ballpoint pen on a paper napkin while my own input to the creative process was reduced to grunts and short sentences. The smartest thing I did, though, was slip the paper napkin with its notes into my briefcase as we left the table. After some sleep, I was able to retrieve the napkin and craft those luncheon thoughts into the backbone of a rational project proposal and action plan. We launched the venture, and about ten months later it went gold, shipping with Lotus's new Multimedia product, Lotus SmartSuite Millennium 9.8. A few years ago somebody told me about an interesting web survey: how does the world pronounce .GIF? The results turned out about 50/50 on the hard/soft question, my colleague claimed. Then I spent considerable time using that word (softly) in Europe before realizing everybody was being smirkingly polite about my outlandish pronunciation. In the San Francisco Bay Area, a world center for multimedia development, GIF has the soft "g" of "ginger," "gin," and "gybe." In New York, where little is soft, and in Europe, .GIF has a more cutting, hard pronunciation, as in "giggling," "gingham," "girdled," "guilty," or "girls." The real question is whether the written word requires a prefixed dot. When I was nine, my father told me about China. He brought the big spinning globe into the kitchen and used a fork to point out where we were and where China was. He explained that if we dug a hole deep enough in the backyard, eventually we would come out in a place called Peking. After school the next day, I began, unannounced, trenching a pit into the rocky soil of our New England backyard. : The first layer was tough sod, then there was some topsoil and loam, and then a thick stratum of moist pea gravel. I was knee-deep into the next layer -- hard-packed clay -- when my father discovered my work site when he came home at the end of day. He was pleased I had missed the septic tank by several feet and sternly suggested that more study would be required before I dug any further. This was my first lesson in project planning, not to mention my first experience with project abandonment. Be sure you analyze the requirements of your multimedia project before you go to the tool shed. 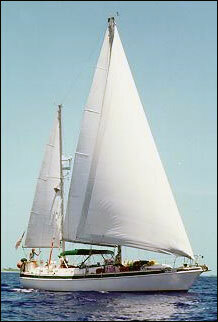 In 1975, I was hired to deliver a 41-foot cruising sailboat from Fort Lauderdale to the British Virgin Islands for the charter trade. 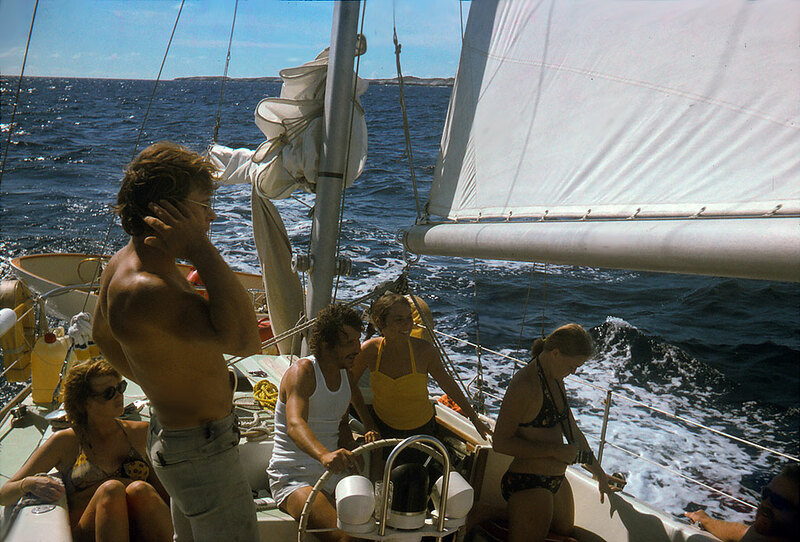 In three days I assembled a crew of strangers, provisioned the boat, and checked all the equipment. Then we took off across the Gulf Stream and into the Bermuda Triangle. After two days it was clear that the cook was a bad apple. It wasn't just that she couldn't cook -- she whined about everything: the stove wouldn't light, the boat heeled too much, her socks were wet, her sleeping bag tore on a cleat, her hair was tangled, she couldn't get her favorite radio station (now a few hundred miles astern). It was unending. The whining began to envelop her in a smog-colored, onion-like layering, each new complaint accreting to the last one, like growing coral. By the fifth day, her unpleasant aura saturated the entire main cabin, and the rest of us had to seek sanctuary in the cockpit or the small aft cabin. Efforts were made to solve this bizarre situation, but by then, nobody could get near her (or wanted to). When we pulled into tiny Caicos Island for water and fresh stores, I paid her off and arranged for a room at the quaint waterfront hotel, where she could wait three days for the weekly airplane back to Florida. Everyone felt bad about her disappointment and how it all turned out -- for about an hour. The rest of the voyage was jubilant. When I was in Germany some years ago, I read a curious report in the Frankfurter Allgemeine about a fellow who was suing the local electric utility for not correcting the spelling of his name to its proper form in the German alphabet. His name had an umlaut in it (Wörm), but his bill always read Woerm. In German, the letter ö sounds different from the letter o, so I can't say I blamed him. At first he didn't pay his bill, claiming that he wasn't that person; then the courts told him to pay anyway. So he initiated a civil suit to protect his name. It seems the utility was using a legacy IBM system with a high-speed chain printer to produce the monthly bills, and none of the umlaut characters were available on the ASCII-based chain. By long-standing convention, when you are limited to the English alphabet, the letter e immediately follows any umlautless vowel, to indicate that the umlaut should be there but isn't. Today, with high-speed laser printers and special fonts, the problem has probably gone away. More recently, there are reports that the California Department of Motor Vehicles cannot handle blank spaces in the name fields of its massive database, so Rip Van Winkle's name was changed to Rip VanWinkle without his permission. Expect a lawsuit. 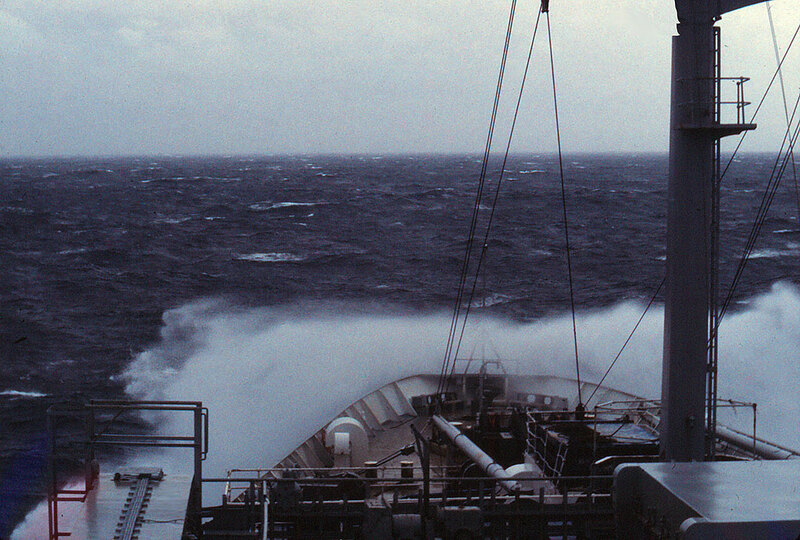 I was downbound from Puget Sound to San Francisco, and the weather was up, with seas running heavy and winds gusting to 80 knots in our face. The Master and the First Mate were on the bridge, the old man sitting curled up in his upholstered high chair on the darkened starboard wing, the First pacing on the rubber mat behind the helmsman. The Third Mate was on watch, leaning over the radar screen and making fluorescent notes with a grease pencil. 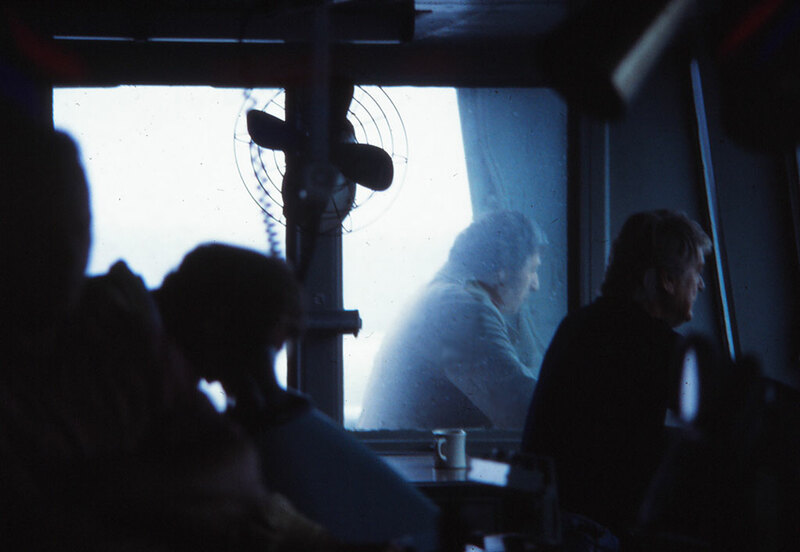 As I was a guest with no duties, I mostly hung out in the chart room while white water broke over the bows and the shuddering propeller came out of the sea; wind screamed in the vents on the roof of the bridge. There wasn't much conversation that night, but the Master slowed us to five knots, concerned about the containers lashed to the forward deck. When the young Third Mate came into the chart room, I asked, "Where are we?" and he took a sharp pencil, made a fine point on the chart, and drew a tiny circle around the point. Then he smiled, proud to have good radar bearings. The First Mate came in about a half hour later, and when I asked the same question, he circled an area about the size of a walnut. As the Master left the bridge for his cabin, I asked him, too, where we were. He took his thumb and rubbed it on the chart in a rough oval about the diameter of his fist, saying, "Somewhere in here," and grinned at me as the ship heaved suddenly and we grabbed for the handholds. The more experience these professionals had, the larger the circle they drew, and the less they relied upon pinpoint navigation. You should be prudent when costing a multimedia production; precision estimating can wreck your project. "I received the better part of my education at home. My wise mother did not pretend to dictate my instruction. She simply placed the books she desired me to read within my reach and supplied no others. I sat many a night into the wee small hours and absorbed, by the light of a sycamore ball floating in a cup of grease, the wonderful stories of Walter Scott. I knew every one of his characters in detail and sought their prototypes among those about me. I clothed the farm and the neighboring hills and dales with romance. Rob Roy's cave was a certainty. I discovered it in a high bluff on the creek. I read the works of Dickens and Thackeray with like avidity and recited the Prisoner of Chillon and the Corsair. These and books of like character filled my library shelves. There were also volumes of ancient history and I remember with what eagerness and enthusiasm I read the Decline and Fall of the Roman Empire. "Poor training," a present day educator would say, for one whose adult life was to be devoted to science. This may be true, but I am reciting facts. I cannot deny that my scientific work might have been more productive had my early training been different. However I am not making a plea for a handicap, and I remain grateful to my mother for the books I read in childhood. They continue to be associated with her hallowed memory. I never open one of these now ancient volumes without seeing her face, as with lighted candle she came to my room and gently urged me to go to bed." 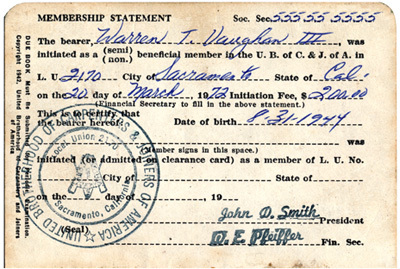 Victor C. Vaughan continued to learn and apply eagerness and enthusiasm to every subject. Among his accomplishments, he became Dean of the Medical School at the University of Michigan and President of the American Medical Association. He was Surgeon General during the great Spanish Flu pandemic of 1918 and, it is said, he remained bitter to his last days that science, his great love, was unable to unravel the causes of that disaster. It may be that today's multimedia and interactive distance learning using video and audio delivered across broadband connections may not be sufficient to compete with the light of a sycamore ball floating in a cup of grease. It may be that the fundamental driver towards the success of any person's education remains, simply and plainly, eagerness and enthusiasm. My father said that Mommy was still in a coma and my little brother was sleeping. We should go home now. So we went out the back way to the physician's parking lot: down the elevator and past the noisy kitchen with its racks of trays, white-uniformed cooks, piles of canned goods, and the steamy smells of institutional stew. The green screen door slammed indelibly into my five-year-old memory, and the attendant waved to my dad; he probably didn't know we were there on family business. It was all pretty serious. We found Mommy's car behind the police station. I stayed in my seat while my father got out and walked very slowly around the twisted metal. 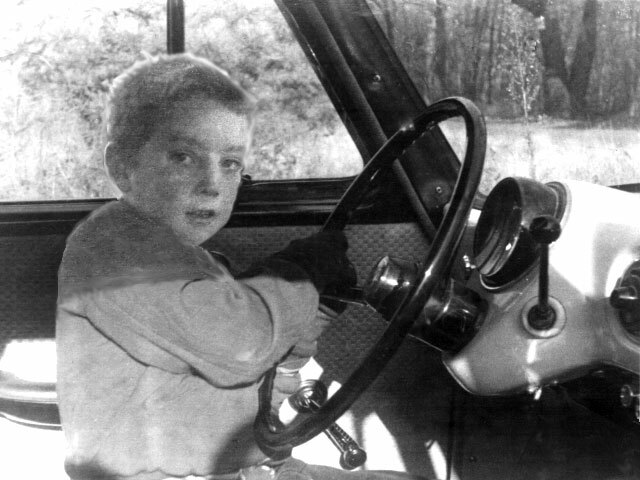 He was calculating the impact forces, visualizing the accident in slow-motion freeze frames, and at one point, he leaned in through the broken glass and ran his hand across the dent in the steel glove compartment where my brother had smashed his face. He went around only the one time, then got back in. "She must have been doing about forty when she hit the pole," he offered as if I were an adult, and we drove out the narrow circular drive alongside the station house. It was a crisp, clear, football-and-pumpkins Saturday afternoon in October. Editorial note to Sally: Per your comment last week, pick a good illustration from the file of images that I have attached. One of them should fit the bill... Thanks! See you next week. The animation storyboard called for a photo-realistic monster chasing a running man through a city park amid screams of terror. The man was already in Director, running in great strides across an arched footbridge in a woodsy scene with high-rises in the background; he even looked over his shoulder a few times in panic. We were scouting around for an effective Godzilla when a friend dropped by with a motorized, 12-inch Tyrannosaurus Rex from Toys'R'Us. It was perfect - opening a toothy, gaping mouth every few steps as it lumbered along on C batteries. I took the dinosaur and a video camera home to the delight and fascination of my three-year-old daughter, who helped rig a white sheet in front of the living room fireplace and a cardboard-box runway where Mr. TRex could strut his stuff before the camera. A couple of lamps gave him a sweaty sheen. We recorded about five minutes of video as my daughter happily retrieved Mr. TRex each time he nosed off the "cliff" at the end of the stage. I grabbed a still image about every fourth frame of the recording and imported the resulting files into Director as cast members. They needed a little cleanup and scaling, but the fellow looked really convincing when he was finally scored to run across the bridge. Next day, I mixed a bunch of sounds'singing birds, running footsteps, screams, roars, sirens, and gunshots - and it was done. Surf Alligators live within the cusps of breaking technology waves. They can be snuffed with good knowledge, tools, and a network of colleagues willing to answer arcane questions. Catching these alligators requires the patience of Costa Rican beach children who cast unbaited three-barbed hooks into the incoming waves to yank out their surprised and luckless silver prey. Years ago, my 19-inch RGB monitor, a Hitachi rebranded by both SuperMac and Silicon Graphics, had BNC inputs for red, green, and blue and required that horizontal sync be superimposed on the green channel. This was supported by SuperMacs and other NuBus video cards at 8-bit color depth. I wanted the Quadra 840AV's internal video support for 19-inch monitors at 16 bits, claimed extolled in Apple's literature. But no way would my monitor work, and it took four days of calling around to discover why. Sorry, no sync on green from that Quadra, they said. Throw the monitor away. Get one with more BNC inputs. Apple's User Assistance Center (usually busy and not open at 1:00 a.m.) was of no help. My arcane questions were not in the annoying hierarchy of voice message help, and it took two days to get hold of a real person to tell me the answer wasn't in her data bank. I felt like trolling with those Costa Rican fish hooks across the many rows of phone-answering cubicles at the Assistance Center, and yanking real hard. Real information was finally forthcoming when I contacted two guys on Apple's Quadra hardware team through e-mail. They had docs that explained all and included the peculiar sensing codes (pins 4, 7, and 10 of the 15-pin monitor connector) used by the Quadra's built-in video to automatically adjust to most monitors. I felt 100 percent better when I knew the why of it, even though I did have to buy a new monitor. Every time you upgrade your computer hardware, and occasionally when you upgrade your software, you are likely to attract Surf Alligators. These perils aren't like the steep learning curves, where with effort you can incrementally improve your skill; they are brutally mechanical and test you in other ways: either you know it or you don't. If you don't know it, it won't work. Period. By 2001, small and inexpensive cable adapters were widely available with lots of little dip switches to set the TTL signals Apple uses to declare monitor size and frequency, and for mixing sync onto the green channel. A few years ago I was on a flight from Dallas to Frankfurt and became involved in an unusual but gentlemanly competition. At Mach .75 and 40,000 above the sea, six of us contended for the two available 110-volt "Shavers Only" electrical outlets in the lavatories. Every hour or so we found we needed to recharge our laptop computers, and so, in the usual friendly manner of fellow travelers, we quietly negotiated a round-robin power schedule. 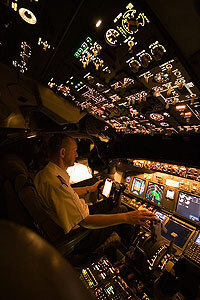 More recently, on an overnight flight across that same ocean aboard a brand-new aircraft, mine was the only seat showing its overhead light while I put the finishing touches on a multimedia presentation. After a few hours, I needed to charge batteries, and with the small charger, power cord, and batteries in hand, I went forward to the lavatory. There was no 110-volt outlet. With increasing alarm, I checked the other lavatories. No outlets anywhere. Behind the curtain of the galley, the flight attendants had gathered to chat while their passengers slept. No, there probably weren't any outlets on this plane, they responded ambivalently. I looked furtively around the galley; none there, either. It would seem that 110-volt conveniences for passengers with shavers and laptops have gone to that same graveyard of services where you can find Channel 12 for listening to Air Traffic Control while en route, first-person televised views from the cockpit of takeoffs and landings, a catered piano bar and lounge aft, and (in the real old days) a tiny pack of four Winston cigarettes on your dinner tray next to a matchbook proudly emblazoned with the airline's logo. No doubt there are safety, cost, and general reduction-of-hassle-from-passengers reasons, though airlines are beginning to install special low-voltage computer power outlets for laptops at business and first-class seats. I was, in the end, better off for the extra sleep. During the early 1980s, I founded an accredited maritime school at Pier 66 in San Francisco, and where we offered courses in everything from high-tech composite plastics and welding to Rules of the Road and celestial navigation. We also ran several marine trade certification programs. When I talked with Ford, General Motors, Cummins, and Caterpillar about setting up a course for marine diesel mechanics, I was surprised at their competitive interest in supporting the program. It turned out that a widely publicized survey had shown that a mechanic trained to work on a particular brand of engine would stick with it for life, loyally recommending and supporting that brand. The same holds true for software. By the time you master an application, you have spent many hours on its learning curve. You will likely stay with that product and its upgrade path rather than change to another. I recently discovered a group of computer scientists and programmers fully dedicated to exploring and improving the techniques and algorithms used for compression of digital data. These folks are from around the world and hang out on bulletin boards, where they have lengthy and arcane electronic conversations. Programmers and mathematicians such as Huffman, Lempel, and Ziv have been made famous on these services. The greatest contribution this group has made to computer technology may not be in the area of information condensation, but in the creative spin-off of peculiar new words such as freshen, pack, crunch, squash, shrink, crush, implode, distill, squeeze, stuff, and garble. When you throw a few Atoms and best Guesses into this potpourri of words, the language of data compression joins that of modern physics, with its own quarks, gluons, and happy and sad particles. It's a creative and inventive place in the day-to-day forward motion of human endeavor, this place of strange and beautiful compression algorithms. In the 15th century, when the Church was a strong power throughout Europe, Johann Gensfleisch zum Gutenberg, a trained goldsmith from Mainz, Germany, invented moveable type for printing presses. And he beganHe used this new invention for task of producing religious literature, indulgence slips, and the Holy Bible. In the case of the Bible, he sold his copies to people who could read Latin and pay the equivalent of three years of a clerk's wage to own a personal copy of this Great Work. Other printers, including the Estienne family in France and Aldus Manutius in Italy, soon entered the publishing marketplace to compete, and they changed the fabric of society. The mass production of identical copies of text enabled an information-based paradigm shift that changed the human universe in a substantial way. Lots of scribes and illuminators were put out of business. By way of pointing out that some elements of the human equation may be constant throughout history, I would remark that Gutenberg, like many adventurers surfing the waves of today's revolution, Gutenberg took on a financial investor, Johann Fust. Gutenberg, who was a visionary craftsman perhaps better suited to lab and shop work, defaulted on a payment to Fust in 1455, was sued, and lost his press and all its profits. Toward the end of his life, it is said that he was granted a place as courtier to the archbishop of Mainz, . a This position had perhaps better remunerating remuneration than the diminishing social security plan rewarding today's surfer who wipes out while hanging ten at the leading edge of the business world. The Credit Alligator usually appears late in a multimedia project and has nothing to do with MasterCard or Visa. This gnarly animal typically lives unseen in the delicate fringes of workgroup politics, but can appear with great distraction during beta testing, adding moments of personal tension and occasionally destroying friendships and business relationships. After hard cash, the most satisfying remuneration for your sweaty effort and late-night creative contributions to a multimedia project is to see your name on the credit screen. Indeed, this visible credit is a special high-value currency because it can be added to your portfolio to help you land the next job; the more of this currency, the higher your potential wage. And the more likely you will remain employed doing the things you like to do. Start building defenses against this alligator up front. When you negotiate the original contract with whomever pays the multimedia bill, be sure to include wording such as: "We shall be allowed to include a production credit display on the closing screen or in another mutually agreeable position in the finished work." If you are an individual who is contracting to a producer, be sure it is understood that IF there is a credit screen, your name will be on it. Not all clients will stand for a credit screen. Apple Computer, for example, uses many outside contractors to produce multimedia, but as a company policy rarely allows contributors to be credited by name. Some contractors and frustrated employees develop ingenious work-arounds and indirections to bury these important intellectual credits within their work. For example, in an excellent book written by a team of skilled Apple people and published officially by Addison-Wesley (HyperCard Stack Design Guidelines by Apple Computer, Inc.) you may discover a list of talented instructional designers, illustrators, writers, and editors in Figure 3-3, an unassuming bitmapped screen grab showing an "About" box. The real people that wrote the book are buried there, in the example credit screen. The Credit Alligator raises its head over the little things, too, and there are often no defenses. If your name begins with a letter that is toward the end of the alphabet, it may never appear first on the list of contributors, even if your contribution was major. Of course, if your name is Walsh or Young, you have endured this ordering system since first-grade lineups. Warning: reversing an alphabetic credit list from last to first will only create or heighten tension; to propose such a list is, in itself, ego-driven and self- serving. Learn to live with it. The most treacherous place where the Credit Alligator lives is in the busy time of finalizing a project and going gold. If you are not participating in the final mastering but have contributed a piece or pieces to the project, you must trust the masterer to do it right. But it doesn't always happen right. One company recently consulted on a job where their work represented the second-greatest contribution from a group of about fifteen contributors, all of whom had credit screens. Their contract required credit, but in the final version of the storyboard they discovered their screen buried at the end of a four-minute linear sequence of all the other credits and advertisements. They asked the producer to move it up. "Sorry," said the producer, "it was an oversight." Then in the last-minute process of resequencing, the producer also switched that company's custom music to his own company's credit screen, leaving our friend's screen attached to a pretty ugly left-over sound byte. Because the company was not included in the final feedback and approval loop, they discovered this "little mistake" only after mass replication. It's tough to change 50,000 shrink-wrapped CD-ROMs, so there was nothing to say. Crediting creative talent is sensitive stuff. Avoid recurring bouts with the Credit Alligator by publicizing among your people your policy about credit screens. Talk about intellectual credit openly, not as a last-minute thing. Negotiate hard for inclusion of credit in all the projects you undertake for clients. Indeed, multimedia doesn't spring from the bankrolls of investors and publishers, but is the result of the hard work of talented real people. From the monthly column "Alligators" by Tay Vaughan, first printed in Morph's Outpost, December, 1993. When I was 16, my grandmother loaned me $500 so I could buy my first car. It was a lovely, previously owned, British racing green 1950 MG-TD, happiest doing about 45 miles per hour on tree-lined summer roads in New England. When you hinged up the hood sideways, everything inside was simple and well defined; there was plenty of room to tweak the twin SU carburetors, adjust the distributor, and replace simple parts like the electric fuel pump. I even took the tiny four-cylinder engine entirely out and replaced the shell bearings on the crankshaft. A decade later, with my previously owned 1960 Ford pickup, it was the same--replacing the radiator or changing the starter motor was a piece of cake, and there was plenty of room to work on the engine. But then automobiles got complicated. It started with elaborate emission control systems, then electronic ignitions, then air conditioning, and finally, computers. Opening the hood of a car today, most of us can only stare dumbly at the myriad hoses and wires and color-coded containers for special fluids; and it's so compact a fit, you can't slip a screwdriver between the engine and the fire wall. When the "check engine" light comes on, an expert needs to "pull" the computer codes with a special, expensive reader to see what's wrong. Writing HTML for the Web today is still simple. But unless you are an expert, you might be staring dumbly at the complex source code created by a new generation of high-powered, special Web web tools that will deliver mind-boggling multimedia pages built--no muss, no fuss--with simple drag and drop. But like my car today, which is happiest at 70 miles per hour and could cruise at twice that, you won't be doing much under the hood. After getting my pilot's license for flying small, single-engine airplanes, I traveled from San Francisco to New York on a Boeing 747. Looking out the window at those perfectly circular irrigated farms in Nebraska and Iowa, my lazy thoughts drifted from corn to water to Chevys on levies to girls to football to rope swings splashing into summer sun-drenched rivers. There was a small airport below. Would that make a good emergency field for a dead-stick Cessna? Mmmmm, I drifted. What if this plane had an emergency? Mmmmm. What if the crew had been poisoned and we were on autopilot, and a flight attendant had just interrupted the movie to ask if there were a pilot on board? Mmmmm. I knew that if I had to sit in the left seat of that 747 I wouldn't have a clue, and the plane would go down. Thousands of switches, glass screens, levers, pedals, blinking lights, and somewhere a radio, all waiting for me to do something with them. Hollywood's version of this scenario, with the "tower" talking us down, would never work because I couldn't even turn on the radio. It's like that when you learn multimedia. The same That sinking feeling. That frustration. That and not knowing. But, because you have this book in hand, you are already in the pilot's seat and on the learning curve and are on the way towards a successful landing. Relax. Step-by-step it will get easier. Manuals, online help systems, and instructors are your tower, and you have plenty of fuel. In the same way tens of thousands of pilots have learned to fly, you will learn to make multimedia! In November 1985, during the COMDEX trade show in Las Vegas, members of the computer press were invited to the birthing party for a new Microsoft product called Windows. A crowd of journalists and friends of Microsoft had gathered in a small, low-ceilinged, hotel ballroom and were munching on hors d'oeuvres and sipping wine when the swinging doors to the pantry opened suddenly, and Bill Gates drove a golf cart onto the floor, towing a small trailer loaded down with hundreds of blue boxes filled with the new product. A cheer went up, and the boxes disappeared into waiting hands. It was a fun party held in the time before Gates had become the richest man in the world and necessarily employed a personal security force, before his personal income would skew by two dollars the difference between the mean and median income of all Americans. He chatted with a few of us and proudly autographed some User Guides. Mine says "I hope you like the product; thanks for coming, Tay." Back in my office after the show, I loaded the software onto my XT from the five 5.25-inch floppy disks in the box and ran it. Windows was a dog. Indeed, during the ensuing days and months, Windows had a very hard time in the "operating environment" popularity contest and dropped to low-visibility status. But Gates seemed to have a vision, and while we didn't hear too much about Windows during the next years, Gates and Microsoft worked on the product steadily and didn't give up. Windows 3.0, released many years later, changed the world. Had a chat with the McGraw-Hill Legal folks on whether it is advisable to reproduce Bill Gate's signature in the form of a scan of the cover of the Windows Users Guide. The word is that it is not advisable nor a good idea. Yes, it's true that Tay does own the manual and can do whatever he likes with it, but once the image is scanned and used in an Osborne book, the dynamics change. It is perfectly acceptable to tell the story that Tay wants to tell which describes the Windows software launch of long ago, and it's perfectly acceptable to quote what Bill Gates wrote on the cover of the manual, but we cannot reproduce a picture of the signature. I suggest we kill the screen shot. P.S. when queried, Microsoft has responded no also, and from several different departments. Author's Note: OK, OK. I thought my readers would like to see the real thing. We put out a call for a multimedia acting job (male, mid-30s, credible voice, earnest smile), and 18 men showed up for tryouts at a local studio -- 17 were nonunion and 1 belonged to AFTRA. We videotaped each applicant as he read a prepared script, chatted with all of them, and asked them to walk around and jump up and down. The best choice by far, we thought at the end of a long day, was Dave Kazanjian, the union member. "Oooh," we said to ourselves, "real union talent! This is going to cost us." So we got together with the client and ran tapes of half a dozen of the better actors trying out, without saying which one was our favorite. The client's choice was the same as ours, because Dave was very polished and professional and simply perfect for the part. Paying union-scale wages to the actor would double what we had estimated in our original budget, and we had naively assumed we could quickly and easily find the right talent from the nonunion pool. We ran the new numbers past the client, implying that the second-choice actor was more affordable, even if he wasn't quite perfect. Then we showed Dave's clip next to the other guy, and repeated it a few times, until the difference was really apparent. The comparison was persuasive, and in the end, the client supported the extra cost. We all learned again that you get what you pay for: Dave did a terrific job. In future proposals, we used union scale in estimating cost, whether we hired a union actor or not. We beat on the bronze version of the program right up to the last day, when we had to send a golden master to the duplicator by overnight courier. They were prepared to make 40,000 disks in a matter of hours and then hand-carry them directly to a trade show. Like kids with sticks at a piñata birthday party, we did everything we could to make all the bugs tumble out of the program. Every time a bug appeared, we killed it. As we pounded and tested, fewer and fewer bugs fell out, until none appeared for about six hours straight, under every condition we could dream up. As the deadline for the courier's airport facility neared, we were ready to apply the finishing touches to the product and stamp it gold. One of the guys waited in his car with engine running, ready for the sprint through commuter traffic to the airport. We were saving the program every three minutes and nervously backing it up on different media about every ten minutes. We had built in a hidden software routine for debugging this project, and when the product manager clicked Save for the last time, he forgot to reset the program for normal use--we didn't know the master was flawed. Handling the disk like a uranium fuel rod traveling through heavy water, we packed it up and got it to the waiting car. An hour later, our postpartum celebration was interrupted by a painful cry from down the hall--someone had discovered the flaw. By then the courier flight had departed. We fixed it. Faced with the appalling possibility of 40,000 bad disks being invoiced to us instead of the client, we sent the exhausted product manager out on the midnight flight, without a chance even to go home and clean up. He had a golden master disk in his briefcase, one in his shirt pocket, one in his pants pocket, and one in a manila envelope that would never see an airport X-ray machine. In April 1992, Microsoft rolled out its new version of Windows 3.1 with speeches and a live MIDI performance at the Spring COMDEX/Windows World Trade Show in Chicago. 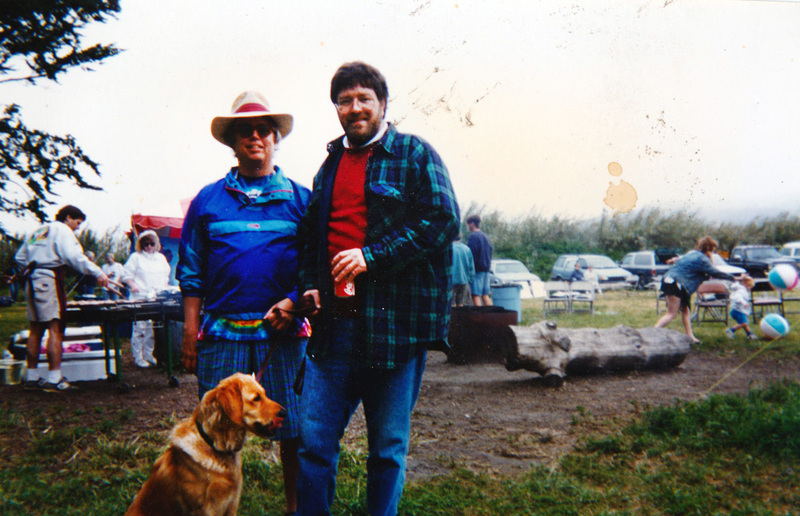 Tracy Hurst played the piano and Steve Peha worked the electronic interface. As Tracy played "Striving for Glory: The Windows 3.1 Theme" on his Roland HP-5700, the music was instantaneously transcribed by Midisoft Studio, and the notes ran real-time across the 50-foot big screen, like sing-along bouncing balls. The show worked perfectly, and Windows magazine later called it a tour de force for Windows multimedia. It was slick. But I knew these people who looked so professional and confident. I knew about the late nights, the crashed disk drives, the long drive from Boston, and the hurried runs to the nearest Radio Shack. This performance was not just about MIDI; it was about multimedia development in general. Hard work and technology are the substantial, invisible part of the iceberg supporting multimedia's visible leading edge. A few years ago a large corporation asked us and one other multimedia developer to bid on a long-term contract for computer-based training. Though busy with other active projects, we didn't want this possibly lucrative opportunity to slip by, so we spent a few days hastily putting together a demonstration of our technical skills for building nifty databases, designing tricky telecommunications systems, and integrating live video. We even "wire-framed" a bit of a working multimedia database with real data we got from the corporation. We showed our demo to about a dozen management and training executives, in a fancy boardroom that had a built-in projector and sound system with mixers and light dimmers—a place where we could knock the socks off anybody. But within 30 seconds, the disaster bells started tinkling: most of our presentation was going way over their heads. Afterward, there were one or two vague questions and some thank-you's. Our competitor's presentation, on the other hand, provided a slick series of finely rendered bitmapped screen images and elegant visuals. It was heavy on pretty menu screens and very light on how-it-is-done technology. We later learned that one of their graphic artists had worked for two solid weeks on the color bitmaps for that demo. In the follow-up phone call, we were told by our potential clients that the competition's "incredible artwork" had won out over our "excellent technology demonstration." To cover our disappointment, we mumbled something to ourselves about not wanting to work with computer illiterates, anyway—people who could be taken to the cleaners by fresh paint. But we knew we'd missed a hefty piece of contract work because we hadn't invested serious graphic art talent in our demonstration. We decided that's why the real peas in the can are never the same bright green as the ones on the label. So we learned a marketing lesson. I needed to get about 40 bitmap files from the Macintosh to the Sun SPARCstation. "Piece of cake," I said. "Give me a few minutes." The network hadn't gone down in three days, and we were connected at Ethernet speeds. Well, the files had been saved in native Photoshop format on the Macintosh. So I launched Photoshop, opened each file, and then saved it in PICT format. The translator program I wanted to use to convert Macintosh PICT files to Sun raster files was an MS-DOS application, so I renamed all the Macintosh files to fit the DOS eight-plus-three-character file name convention. Then I cranked up the PC, launched the translator, and batch-processed all of the files into RAS files using the network. The 40 new files were now on the Macintosh, mixed in with the original PICTs. I collected the needed raster files into a single folder on the Macintosh and then sent the whole thing over to the Sun. A few minutes? The process kept three chairs warm for about two hours. Captain's Log: We received some excellent design tips from Bernice T. Glenn:. As intermedia applications continue to proliferate, producers and designers need to know how to float between print and color pigment, digital color and RGB as viewed on a monitor, and analog color as viewed on a television screen. Color formulas for multimedia, especially when it is interactive, depend heavily on human factors. Contrast -- or the degree of tonal difference between one color and another -- is often more important when working with color on a computer screen. A combination of pure yellow with pure violet, or blue and orange, for example, will vibrate when viewed in RGB. On video, disturbing flickers, extraneous colors, and other artifacts usually appear on the borders between pure complementary colors. On top of that, colors that look great on your computer monitor may not even show up when transferred to video. Important elements can be emphasized by using fully saturated colors against a neutral background, whose color may complement as a grayed-down tint of the color. Red or green may need to be avoided as cue colors [for menu buttons and icons] because 8 percent of the population is color blind to some extent and cannot see reds or greens in their true color value. Around midnight, I got a phone call from a client in Europe. His investors were meeting later that day, and he needed the project now, not in two days by DHL courier. Compressed, the code was less than a megabyte. So I went to my office and cranked up the modem, dialed the overseas phone number, and connected. The modem software estimated a total transmission time of 73 minutes, and we started the XMODEM protocols. While the little packets of data were humming out across the continent and an ocean, I made a peanut butter sandwich and kept an eye on the Bytes Remaining counter as it worked its way down in ratchets of 1,024. It was hypnotic. Annoying spikes and glitches in the phone system had always plagued my modem calls with intermittent transmission failures that required starting over. With about four minutes to go, I began suffering hot flashes and a pounding heart, and found myself riveted to the monitor with head in hands, cheering the system on. "Don't crash now! Just a little more... Pretty please with icing! Nice baby!" All the possible scenarios of disaster paraded in front of me: a shipping calamity in the English channel would cause the transatlantic cable to break at 30 fathoms; a street cleaning truck would take out the electric power pole on the street outside; mice would chew through the antenna leads of a lonely microwave station high in the Colorado Rockies... It all seemed suddenly so fragile. But it made it! When I received a press release from Alternate Realities Corporation, a small startup company spun out of a large research effort in North Carolina, I was intrigued. ARC's president, David Bennett, claimed, "We are redefining Virtual Reality!" He went on to describe "a new generation virtual environment that is a 3-D, immersive, full-color, interactive system enclosed in a 16-foot dome or sphere that can be either portable (inflatable or interlocking) or permanent. The system includes a 360-degree projection system with a 180-degree field of view. Imagine a 16-foot helmet that fits over 15 people at the same time and is nonrestrictive! Larger units (in the 24-foot and up range) are in the early development stage." I knew I had to have one for my experiments with VRML! The 5-meter model, which fits in a 20_20-foot trade-show booth space, was available for $280,000, and the 7-meter model, perfect for my backyard, was only slightly more at $340,000. Not every prototype segues naturally into a full-blown project. Sometimes a project is shut down at this milestone due to reality shock: the client chokes on cost-to-completion estimates. Sometimes it's the Reorg Alligator: new managers with new agendas axe the project. Sometimes the client just plain doesn't like your work. Then sometimes a project simply disappears like a dream forgotten by mid-morning. We were invited to prepare the prototype for a large and intricate intranet site behind a corporate fire wall -- potentially a two-year involvement. We proposed a first phase, an analysis and definition of the company's structure and information-gathering and dissemination needs so we could lock down major content areas and the navigation design. We wanted to know how many buttons to put on the main menu and what they would say, before we spent long hours creating the bitmaps and animated GIFs of a neat interface. "No, no," they said, "our guys have put that together already." So we negotiated for creation of artwork and HTML page styles that would provide a consistent look and feel throughout the site. We set a fixed price and provided a list of deliverables: (1) graphic style and GIF/JPEG elements for main home and sub pages; (2) a complete site structure and map with navigationally functional "under construction" pages based on the organizational charts they would provide; and (3) working demo pages for two of the company's departments. Then we had our first team meeting, and it soon became clear they needed hand-holding while their own MIS people transitioned from other tasks and got up to speed in their new jobs as in-house intranet team and webmasters. None had coded a page of HTML, although some had used editors and builders to get pages working. The database guy was stopped dead by an undefined Java error when accessing his massive SQL database. The server guy was still getting set up. The HTML guy was learning his authoring tools. There was neither a graphic artist nor a handy pool of company graphic art from which our own contribution might spring. OK, we thought, so they're on the learning curve. We can start from scratch. We took the group leader aside and quietly suggested that she consider bringing on a full-time graphics person to support her team. During the next weeks, we developed a classy look and feel and theme. After a couple of feedback/change loops, they loved it. We worked up the more detailed bits and pieces of our deliverable and tightened up the organization of their proposed navigation map. By prototype deadline, we had spent all the hours we had estimated for the job, and they had the site up and working in test mode. We had gotten their motor running. The last time we saw the SQL database programmer was on the afternoon we picked up our milestone check -- he was removing shrink-wrap from a new copy of Photoshop, and the HTML guy was deep into Cold Fusion. We never heard from them again. Many times we have heard about the Feedback Alligator. Its mottled skin boasts an Escher-like pattern of lines and marks, showing apparently clear definition along the head and neck, but converging to a brown muddled wash at the tail. When the tail wags this alligator, all hell breaks loose, and multimedia contracts can be severely strained or lost altogether. Feedback Alligators can appear when you throw a client into the mix of creative people... when necessary-for-client-satisfaction approval cycles can turn your project into an anorexic nightmare of continuing rework, change, and consequently diminished profit. These alligators typically slink out from the damps after you have locked down a contract and scope of work, when the creative guys are already being well paid to ply their craft. For client protection, multimedia creative artists should be hired with a cap on budget and time. They should be highly skilled, efficient, and have a clear understanding of what a project's goals are, and they should be allowed to accomplish these goals with as much freedom as possible. But good multimedia artists should come close to the mark the first time. They don't always. For example, you agree to compose background theme music to play whenever your client's logo shows on the screen. You master a sample cassette tape and pass it to the client. She doesn't quite like the sound but is not sure why. You go back to the MIDI sequencer and try again. The client still isn't sure that's it. Again, you make up a tape and pass it to her for review. No, maybe it needs a little more Sgt. Pepper... this is our logo, remember? The process of client feedback can go on and on forever in a resonance of desire-to-please and creative uncertainty unless you have developed rules for limiting these cycles. While your client might always be right, you will still go broke working unlimited changes on a fixed budget. So do two things to ward off the Feedback Alligator. First, make it clear up front (in your contract) that there will only be a certain number of review cycles before the client must pay for changes. Second, invite the client to the workstation or studio where the creative work is done. For sound, tickle the keyboard until the client says, "That's it!" Make 'em sign off on it. For artwork and animations, let the client spend an afternoon riding shotgun over the artist's shoulder, participating in color and design choices. Get the client involved. If your client contact isn't empowered to make decisions but simply carries your work up to the bosses for "management approval," you are facing the unpleasant Son of Feedback Alligator. Demand a client contact who has budget and design authority. We were asked by a large institution to complete a project that had fallen on the floor. It was really worse than that -- the project had actually slipped through the cracks in that floor. The single known copy of work -- representing about $30,000 in paid billings -- had been copied to 19 high-density floppy disks and stored in a file cabinet. Here, they were discovered by the secretarial pool and formatted, to be used for WordPerfect documents. The secretaries remembered the whole thing because the stored backups contained protected files, so the disks were unusually difficult to erase! Luckily, bits and pieces of the project were unearthed on the hard disk of a computer that had been disconnected and stored in the basement. We were able to reconstruct much of the artwork, but not the interactive links. As we studied the leavings of the embarrassed progenitors, we discovered a trail of missteps and errors. It became clear that the institution made a bad decision in hiring a well-qualified engineering firm at great expense (standard billing rates) to construct a difficult multimedia presentation. CAD/CAM drawings and finite element analysis were the forte of these engineers -- not animated icons and colorful bitmaps with sound tracks. Furthermore, the engineering firm erred in selecting software that performed on the target hardware platform at about the speed of snails chasing a dog. Money had been spent, the product didn't work, and everyone involved was in gray limbo, slinking around, looking for a solution. We determinedly pulled together the bits and pieces we could find, designed a snappy navigational structure we were proud of, and quickly fixed the big problem for a small fee (based upon our own standard billing rate). The institution, of course, was delighted and became a client of long standing. One and one-half T-shirts to Patrick Dillon! Would have been two for your invocation of a famous Greek philosopher, but then I couldn't find "combinatoric" in Webster's. Aristotle himself would have been pleased by the harmonious balance of your reward: you have asked a really good question. As multimedia and the power of computers begin to change our approach to literature and storytelling, new engineering strategies do need to be implemented. When fiction becomes nonlinear, and users can choose among alternative plot lines, the permutations can become staggering. To an author, this means each new plot pathway chosen by user interaction requires its own development, and one story may actually become several hundred or more. To constrain this fearsome explosion of narrative pathways, yet retain a high frequency of interaction, try designing your fiction around a single core plot that provides the cumulative action, and use arrays of returning branches for detail and illustration. In this way you can entirely avoid the permutations of alternative universes and still offer the adventure of interactive exploration. Chris, I've been called a lot of things over the years (like Fay and Ray), and it's with a smile that I add your gift to my collection. Playing Jane Curtin to your Dan Aykroyd, I'll be happy to counter your counterpoint. Your challenge represents a serious subject for multimedia designers today. I agree that interactive stories with too few branches are disappointingly flat and shallow. When a plot is broadly nonlinear, however, the permutations of events and possible outcomes become staggering, and the story as a whole becomes difficult to visualize and manage. Producing such work is also an intellectual challenge and costly in time and effort. A truly open-ended "hypermedia" navigation system for consumer consumption risks death by shock caused by open arterial branches and loss of story pressure, where plot lines become too diffuse and users founder in trivia. Most users may, indeed, prefer a structured, organized, and well-defined story environment. The argument for simplicity is voiced by Steven Levy, the author of Hackers and Artificial Life, who says, "There's really something to be said for documents with a beginning, middle, and end." The shape of this new literature made possible by multimedia computers and wide-bandwidth cable and telephone delivery systems is being born in the working designs of developers. The final test for successful multimedia design is the marketplace, where consumers will decide. Your interesting "algorithms for interpersonal behavior, personality models, artificial personality, languages of expression, and facial displays" represent, perhaps, a successful marriage of this computer power with literature containing malleable plots and seemingly endless variations. Indeed, your forthcoming epic game, Le Morte D'Arthur, will surely break new ground and quite possibly prove your point. Can't wait to get a copy! From correspondence in "Ask the Captain," a monthly column by Tay Vaughan in NewMedia Magazine. One day I launched an application named Disk Formatter on my Macintosh, just to see what it was about. Suddenly I was in a pretty scary user-interface predicament (Figure 16-6 is what I saw). I could tell from its name that the software erased and formatted hard disks and other media: my mounted hard disks were listed on the screen by SCSI number, and I was being prompted to select one of them. I looked over at the CPU and was pleased that the disk drive access light wasn't ticking away at sector-length intervals. I didn't know what the software was doing because I hadn't read the manual; I did know, however, what I wanted to do--back out and quit. Too much at stake to be fooling around here! Well, there was no Cancel button and no Quit button, and OK was too risky with the radio button for my internal hard disk turned on. Did OK mean "OK, start formatting," or did it mean "OK, thanks for selecting that drive, now on to further options?" 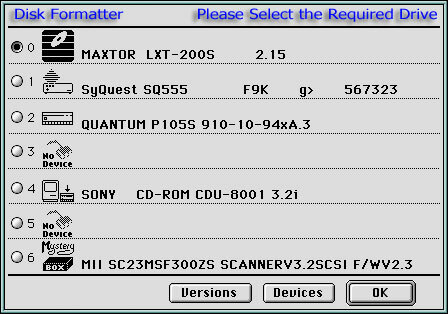 As a dialog box, the Disk Formatter application limited my choices to its own, and I didn't like any of them. I figured I would do an emergency power-down by pulling the plug on the CPU, and then I could restart. But before employing that ultimate solution for sticky-cursors, I found a key combination that happily quit the application. The screen went away and the application went into the trash. I was pretty unhappy, though, about the application's design because there was no clear route to back out of the formatting activity, and OK implies going forward in most user interactions. We made up two sample musical tracks to play in the background and sent them off by overnight courier to the client. Four days later, the client phoned to say that both were good, but they were wondering if we couldn't make it sound a little more like Windham Hill. So we redid the music and sent two more samples. Five days later, the client said the samples were great, but the boss wanted something with a Sergeant Pepper feel. So we sent a fifth creation, this time with a note that they would have to either settle on one of the five styles submitted, supply the music themselves, or pay us more money to keep up the creative composition work. They chose the music the boss liked, but we wound up more than two weeks behind schedule and had spent significantly more money and effort on this task than originally budgeted. Several months later, in the next job requiring original music composition, we specified a maximum of two review/feedback cycles and added a clause for cost overrun beyond that. The first sound we submitted to this new client was approved, and we stayed ahead of schedule and budget. We had a short break between sessions to install the software for a panel discussion about multimedia. Four of us brought media with discussion material. Our moderator installed her presentation first, and we heard her wail, "Something's wrong with my fonts!" We all looked at her ugly 48-point Geneva and felt sorry for her; we knew her mistake. The beautiful fonts she had installed on her home system were not installed in the system of the Macintosh being used for the big-screen projector, and she had failed to bring the fonts along, separately or in the resource fork of her project. By then, it was too late, anyway. While we were in the early phases of producing my CD-ROM, Multimedia: Working It Out!, I sold the rights to distribute it into Korea and Mainland China. Nobody on the production team had ever seen a computer that typed short-form Mandarin, and we knew that even when the English was localized, we would be hard pressed to recognize any of the text, much less edit or alter it in its new form. So we devised a structured system of labels and names for Multimedia: Working It Out! and converted all the text in the project (about 600 "pages" of about a paragraph each) into 1-bit bitmaps in a Director movie. Donna Booher edited and formatted the text in Microsoft Word, Dan Hilgert bitmapped and screen-captured each page with Capture and Photoshop, and Peter Wolf imported the PICT files into Director (by the hundreds) as cast members. Each cast member had a unique (but systematic) name associated with a Director movie, a heading, and various icons. It took a while. The localizers across the Pacific, then, would simply translate a page or a series of pages using their own native-language word processor, capture their own bitmaps, and we would substitute the new bitmaps for the old using the unique identification labels. No language skills required! When we started, Terry Thompson devised a color-coded master filing system and database so that all the word-processed text and the screen-captured bitmaps would remain neatly side by side and concurrent. This is called version control. By the time this project shipped, Donna's computer was crashing four or five times a day and we had lost files, Dan had gone back to school, Peter and I were slapping miscellaneous text elements into the project without tracking where they came from, and we were changing labels and moving cast members around as we streamlined performance, debugged, and staggered toward a golden master and the Federal Express drop-off. We had converted Terry's neatly organized system into chaos. After the CD-ROMs were pressed, and there wasn't anything anybody could change anymore anyway, we did a tricky thing with Lingo programming, DeBabelizer, and OmniPage Pro to convert the final project's bitmapped text back into word processor text. First we collected all the bitmapped text into a single Director movie (we weren't interested in pretty pictures, QuickTime, sounds, or other types of cast members, just text). Then we placed each page of bitmapped text into a movie frame (Cast to Time), neatly labeled that frame at the top with the identifying code of the image using a Lingo handler, and saved all of the frames as PICT images (an automatic command in Director's Export menu). With DeBabelizer, we batch-converted these hundreds of PICT images from 72 dpi (screen capture resolution) to 300 dpi (printer resolution) and saved each as a 1-bit TIFF image. The process was automatic. OmniPage Pro is a powerful optical character recognition (OCR) program that usually reads documents on a flatbed scanner and turns them into nicely formatted word processing documents. OmniPage (ah ha!) allows batch processing of TIFF (and more recently, PICT) images at 300 dpi, so we ran all of these TIFFs (automatically) through OmniPage, and bingo!, they came out as archival word processing files. Then we sent the word files to Guido Mozzi in Italy so his team of translators could begin localizing there. Some efforts are cyclical, we have discovered. The trick is to learn something and improve the process each time the task comes around! I witnessed an amazing multimedia event in the fall of 1993. On an exuberant playing field at Las Vegas, 170,000 computer people and almost 2,000 exhibiting companies gathered to make deals and a lot of noise at the annual COMDEX trade show. This was the year of multimedia, the year when decades of creative and technical effort from thousands of brilliant hardware and software developers around the world would pay off--finally and clearly, there was a marketplace for their wares. But one of the players marched onto the field like Darth Vader and stole the game ball. 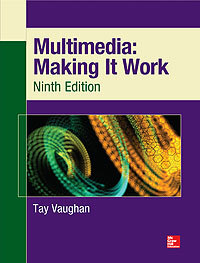 In front of a disbelieving and hostile press corps, Compton's NewMedia broadly declared multimedia to be their own invention--search and retrieval of text, picture, audio, and animated data, especially when delivered on CD-ROM. They passed out copies of their Patent No. 5,241,671 and said "Read it." And they outlined a program for multimedia developers whose work falls under the broad scope of the patent, possibly most developers: pay one percent of your net profits to Compton's NewMedia if you join our special program before June, 1994. After that, the price will go higher. "Why have government bureaucrats allowed you to patent something that we were doing in '86 and '87?" asked an attendee, gleaning cheers and hoots from the crowd. Another observer grabbed the mike to say, "I can't believe the arrogance that's standing in front of us and telling us that YOU invented the multimedia industry!" "What ISN'T covered by this patent?" asked another reporter, culling a one-word reply from executives on the podium: "text." Compton's would like you to think that this is simply business as usual, and that the angry response to the announcement is simply a matter of naive developers who aren't used to playing hardball. Norm Bastins, Compton's general manager, was quoted by Amy Harmon in The Los Angeles Times saying "software developers historically do not like to pay licensing fees.... But it's time for the industry to grow up...."
Uh uh. Grown-ups today are making multimedia alliances and are nurturing the industry, not holding their colleagues hostage and demanding money. Grown-ups don't hold the game ball over the heads of the other players like spoiled schoolyard bullies, yelling "Mine, mine, mine!" Don't get me wrong. Patents are good things; I even have one (No. 4,227,246). And the people I know in the multimedia industry don't mind paying real money for software, hardware, talent, content, and ideas that provide value. But Compton's has manipulated the system and taken advantage of patent examiners who were apparently unaware of the scope and breadth of prior art. Compton's gambit is a pushy, grabby, shockingly in-your-face maneuver that gives no credit to the many thousands who have contributed bleeding hard work to the multimedia industry for many years before autumn of 1989, when Compton's applied for their patent. Laying claim to their "invention," Stanley Frank, CEO and president of Compton's, says "We simply want the public to recognize Compton's NewMedia as the pioneer in the industry...and be compensated for the investments we have made to make multimedia a reality for developers and end users." Few would deny that Compton's was a pioneer, but none of the pioneers I know is arrogant enough to profess being THE pioneer. While initially stunned and affronted by Compton's claims of invention and their strategy for taxing multimedia, like mugging victims, the industry will emerge from a brief period of shock and get mad, real mad. "Compton's might have overlooked how closely knit this industry is,"commented Randy Haykin, Strategic |Marketing Manager for the New Media Division at Apple. Just so. Multimedia developers typically know, help, and respect each other--they've been on the steep learning curve together. We are growing a new industry from hard work, sweat, all-nighters, and a coruscation of creative ideas and inventions. Indeed, what we are doing today will alter the fundamental ways people learn and entertain themselves for generations to come. We have a chance, now, to build the multimedia industry right. I submit that doing business with grace and with good will, not greed, is a very grown-up thing. Somewhere in my basement is an old drive that used 256K, 8-inch floppy disks. I often carried these big floppies from workplace to workplace in a sneaker network (by tennis shoe, that is, not wire or glass fiber). I was astounded and pleased when the new 5.25-inch disks came out, then amazed by the high-technology 3.5-inch disks that fit in a shirt pocket. The higher-density floppies kept pace with the growing sizes of my project files, until I switched to color and began including sound and animation. For a while, segmenting and joining large files across several disks worked around the constraint, but it was tedious. So I finally went to 44MB Syquest cartridges, then to 128MB magneto-optical disks; both are currently the standard storage medium for multimedia producers on the sneaker net. One of the more seductive rewards for working on the steep and slippery learning curves of multimedia is an occasional overwhelming introduction to a new idea or invention, the kind of encounter characterized by a neck-wrenching flash of wonderment as you stop in your tracks for a double-take. "How does that work?" The TouchMate from Visage, Inc., is just such an invention. It's about two inches high, sits under your monitor, and requires only a 12-volt power supply and a cable to the RS-232 serial port of your PC. There are no electrical or data connections between the device and the monitor, no occluding membranes glued to glass, and no LEDs buried in a protruding bezel. So how does TouchMate work if it's not connected to the screen? It translates tiny three-dimensional changes in monitor position caused by pressure on the screen into screen coordinates. This is the same sort of awesome blackbox science that enables inertial navigation systems to guide a 747 from New York to Paris, hands-free. TouchMate combines well understood sensor hardware with the mathematics of force vectors. The top of TouchMate, where the monitor sits, is mounted on three-dimensional springs, allowing it to move with equal freedom in all directions relative to the base. Internal sensors constantly measure the distance between the top and the base. Each sensor consists of two parallel plates that form a capacitor, one attached to the top of TouchMate and one attached to the base. Two sets of these sensor plates are located in each corner, mounted at a 45-degree angle, providing a total of eight sensors. When the monitor (sitting on the TouchMate) is touched, the force of the touch causes a slight change in the distance between TouchMate's top and base, typically on the order of one thousandth of an inch. This causes the distance between each set of sensor plates to change slightly, changing the capacitance across the plates. TouchMate uses the change in capacitance across each sensor to determine the amount the top plate moved in the x, y, and z directions and the amount it rotated in each direction (roll, pitch, and yaw). Firmware then calculates what level of force was exerted to cause this movement and the location where the force was applied. A bunch of us worked on a guided tour project destined for Sun SPARCstations. SPARCstations have large monitors with a screen resolution of 1024x768 pixels, but because we were most proficient with Macintosh graphics tools, we created most of the bitmapped artwork on Macintosh 13-inch, 640x480-pixel RGB monitors. Though the Macintosh software deftly managed the big image sizes, the process was very tiresome to the artists, because the 640x480 monitors provided only a window onto the larger bitmap. We had to scroll the window back and forth over the larger image to see what we were doing. Dragging and dropping was a horror show. Finally, we installed a 19-inch monitor and set up a Macintosh with a high-resolution video card. It was better, but there were not enough of them to go around. In the end, about 75 percent of the artwork was done in scrolling windows on the Macintosh, and it turned out great. Large monitors do not necessarily increase the real estate available to you for your graphics and information display: 35-inch monitors, or even the 50-foot projection displays common to auditoriums, may still provide just 640x480 pixels of resolution. The large monitors that do effectively increase the real estate also require higher-resolution boards in Macintosh or PC expansion slots. Again, these are expensive. Always develop your project using the screen resolution of the destination platform. There are some "gotchas" to keep in mind when creating computer images that will be shown on television, and developers for VIS, CD-I, 3DO, and Kodak's Photo CD should test for them. Among other things, avoid thin one-pixel horizontal lines and fine serifed type. This is because a computer monitor paints the screen in a single pass while televisions paint the same image in two interlaced passes, first drawing the odd lines, then the even lines. This interlacing causes moire effects, and can turn a handsome striped shirt or fine-lined background into an annoying shimmering of light. Also avoid small-size text and intense or "hot" colors like bright red displayed in small areas. You need an encoder or scan converter to translate the RGB signal of computer monitors into the composite signal required for a television. These devices are finally becoming affordable! For a Macintosh solution, try Lapis Technologies' $349 L-TV (800/435-2747), Radius' $1,999 VideoVision (408/434-1010), or RasterOps' $699 VideoExpander (408/562-4200). For PCs try Cardinal's $1295 SnapPlus card (800/233-0187) or RGB Spectrum's $9495 RGB/Videolink 1500 (510/814-7000). Some of these solutions provide more video editing features than others, and prices vary greatly according to feature set, but all will let you view your monitor output on a television. If you can view it on television, you can also record it to videotape! The remarkable growth of the World Wide Web is stressing the "old" designs for displaying text on computers. Indeed, while marked up text files (HTML documents) remain at the foundation of web activity, when you visit a well-designed web site you often discover graphic images, animations, and interactive work-arounds contrived to avoid displaying text. The neat paragraphs, indented lists, and formats for text documents for which HTML was originally intended are evolving into multimedia documents, not text documents, and the HTML method and standard is consequently suffering great stress. As features and tags and plug-ins and special scripts are tacked onto or embedded into HTML to satisfy the demand for multimedia interfaces, at some point HTML will need to be redesigned from the ground up -- as a multimedia delivery tool, not just a text display tool with assorted attachments. Each year, in the middle of summer, one of my colleagues has a birthday party at the beach. Her friends, a great many of them well-known San Francisco Bay Area multimedia developers and pundits, assemble picnic chests, volleyballs, children, suntan lotion, dogs, and watermelons to gather for an afternoon around a circle of hot and smoky charcoal grills. During the party of 1994, they carried on about their latest multimedia ventures while turning chicken breasts, salmon, and barbecue meat; the buzz was about getting CD-ROM titles and product into the retail sales channel. But shadows fell on the CD-ROM marketplace later that year, and the channels grew muddy and expensive -- many multimedia developers were badly hurt in the Christmas shake-out. When those same good developers gathered at the grills in the summer of 1995, the undertow of conversation was about HTML and migration to the growing World Wide Web. This was a new challenge, a new gold rush, and that channel needed multimedia!